I'm sure many of you may be wondering why I use the word "madonnara" and what it means. In the 13th century, after the great Crusades, injured soldiers returned home and many took to the streets. In order to earn some money, some would draw pictures of the Madonna outside churches in order to stir the hearts of the churchgoeers. These artists became known in Italian as "Madonnari". 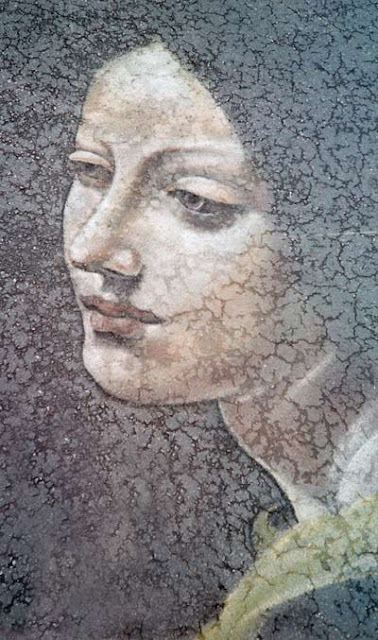 A singular-female version of this word is "madonnara" - which is what I have been using for my e-mail and webpage for many years, since streetpainting has been a passion of mine since I was 13. Streetpainting is now a celebrated artform around the world and I feel so lucky to have been able to travel, share my art, and meet so many wonderful people along the way. I will keep http://www.madonnara.com/ for streetpainting. Please visit http://dawnwagner.blogspot.com/ for my handmade photo pendants, custom graphic pendants and other crafts.